Imagine a band that sounds like three rockets colliding into each other, but a band that also sounds like the free fall of the collision’s debris. Imagine a band that could take a listener through a song like a cog in the machine, using rhythms to emit a defined ooze. Indiana’s own Cloakroom released their newest album Time Well in the summer of this year, and it captures all these feelings. 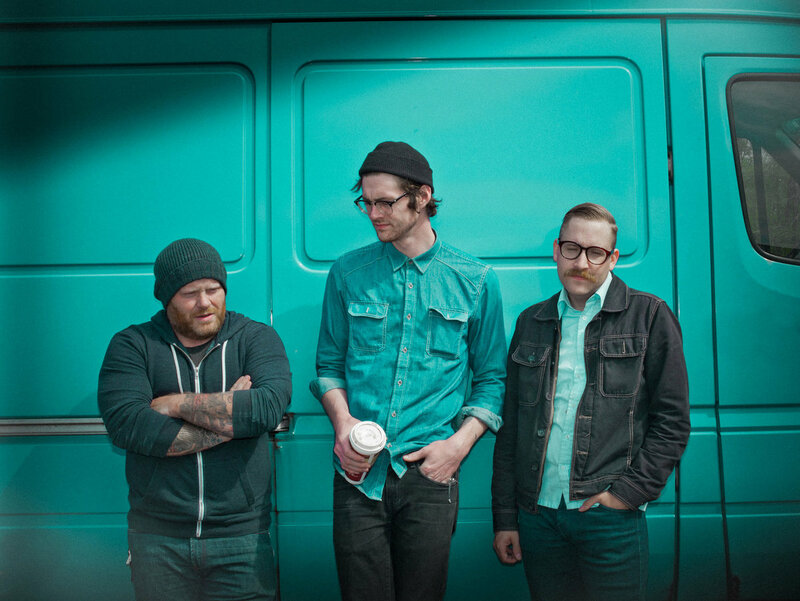 Time Well is their second full length LP, and marks the first since their departure from Run For Cover Records. Released through prolific metal and doom label Relapse, Cloakroom’s ability to bring a heavy loom through their unique brand of emo music has put them in a position that is sought after from different crowds. They are still able to retain their echoed and glimmer shine guitar parts and melodies, but the heavy parts on this album are better than ever. Perfect example of this contrast is on the track “Seedless Star.” The opening of this song is huge. Thick walls of sound from the guitars at a perfect pace to make sure the song’s intricate layers do not get lost in the giant fuzz that is the main riff, not to mention the way the ride cymbal chimes beautifully over the rest of the guitars. The song breaks and leaves a clean passage with the first sign of singing in the song. Cloakroom has a specific type of singing that is comparable to Hum. Mellow and quiet, not pitch deaf, but definitely not showing any sort of range, the vocalist stretches his voice over the verses before they all go back to chugging away. The band does a good job at teetering wherever they want to go sonically. They tread into shoegaze area a couple times, like on the song “Big World,” which has a pretty, hazy main melody that mixes in a nice fuzz right before it cleans up again. The vocal melodies hit a high point on this track as well, providing a great, catchy hook. It seems this band relies heavily on effect pedals, seeing how they are a three piece and want to get such a big sound. However, not only are they able to easily get the sound they want no matter the number of people in the band, Cloakroom proves on the title track of the album that if anything else, they know how to write a good song. Mostly acoustic, this track is super enjoyable even without the fuzzy wall of sound that is showcased in earlier tunes. They still get that moody, spacey, wide sound. Cloakroom made the switch to Relapse and provided an album that shows they can get as heavy as anyone, and shine as bright as the rest with their guitar work and low and minimal vocal stylings. Definitely a band to look out for in the future. The band has their sound and writing dialed in.